Toddy started out playing in various Dixieland bands in South London in the early 60s. 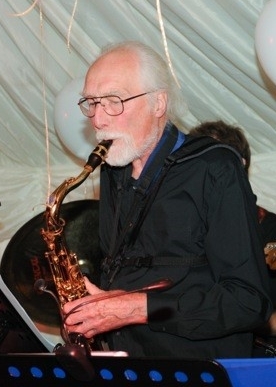 In 1965 he moved to Salisbury and started his own Jazz club featuring his own modern Jazz Quintet. During this time he was also part of the "Bob James Big Band" as well as various dance and jazz-rock bands. In the 70s he moved to Berkshire and played with the "Park Dance Orchestra", "New Tones" and "Midnight Sun". During the 80s and early 90s he was a member of "Back to Basics", "The Blues Doctors", "Hoodoo Shimmy", "The Pete Hamilton Comedy Band", and "Guilty Party". Toddy joined The Gang in 1995 and is our longest serving member.